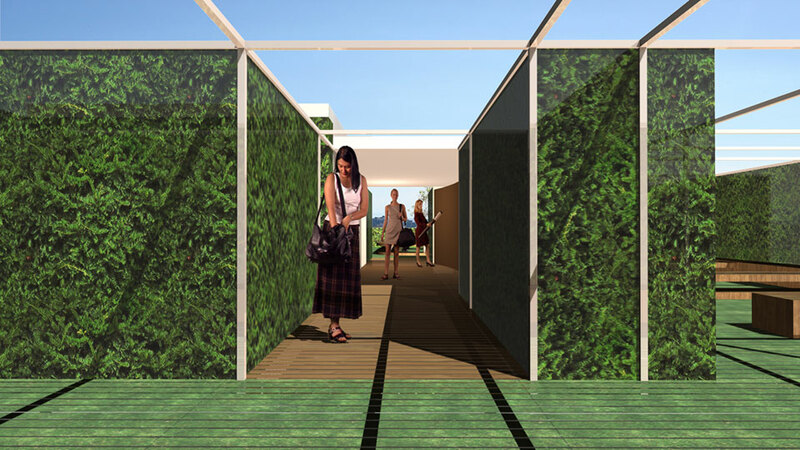 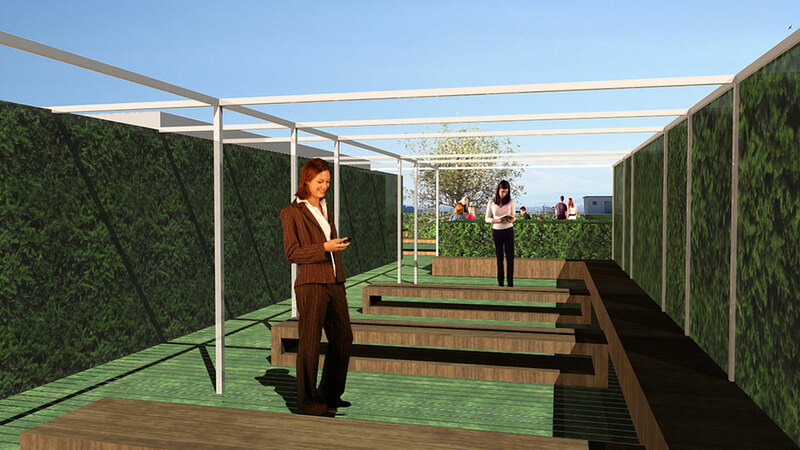 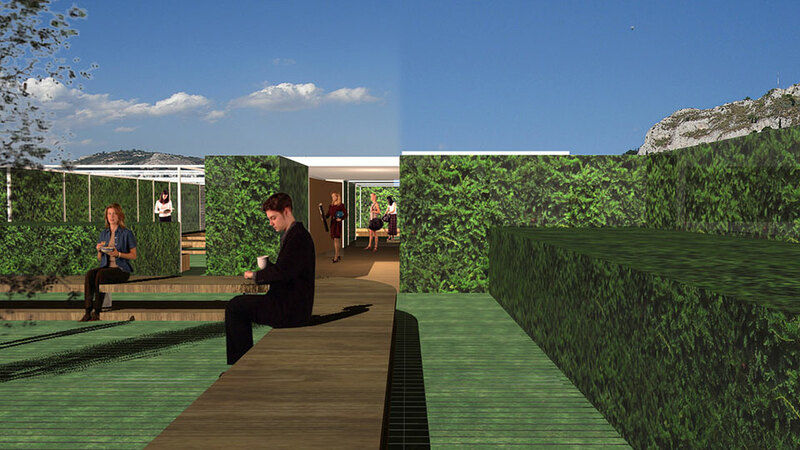 The construction of a “green roof” on top of an office building in Athens city centre is an opportunity to create an open-air living space to enjoy the garden and the view. 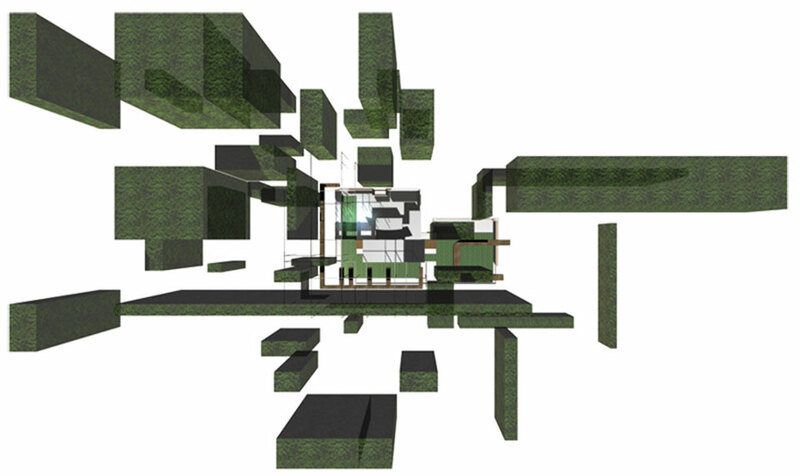 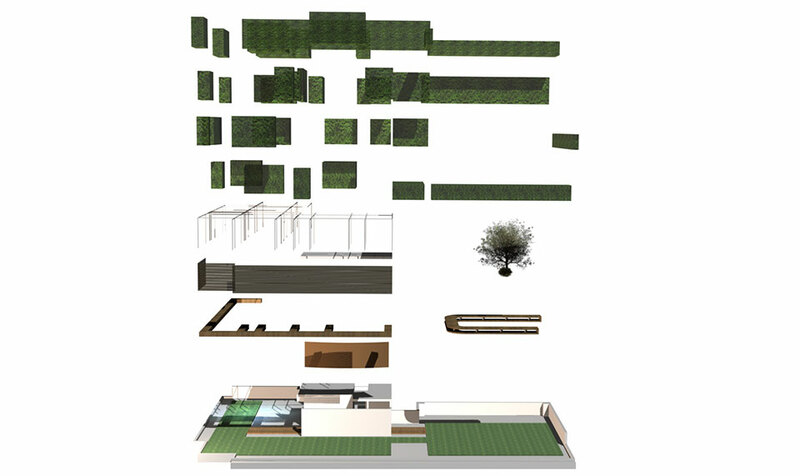 The whole space is constructed within a 3-dimensional grid, materialized as solid “walls” of plants or as a light metal structure or even disappeared in favor of the view. 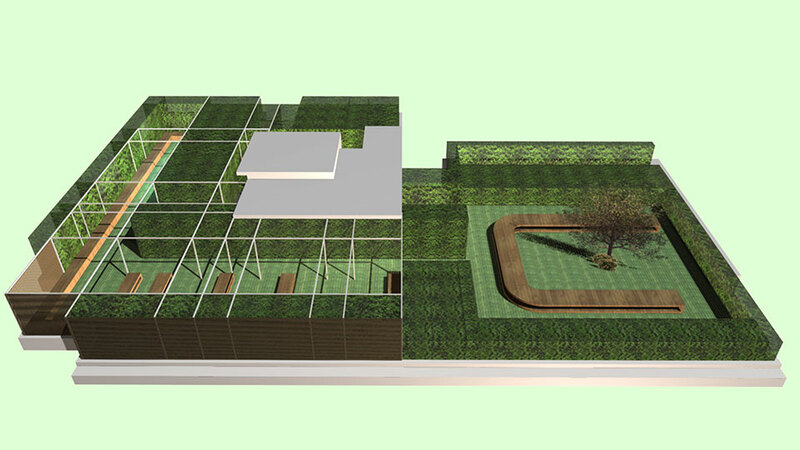 Planting zoning is designed according to specific heights, density and seasonal flourishing. 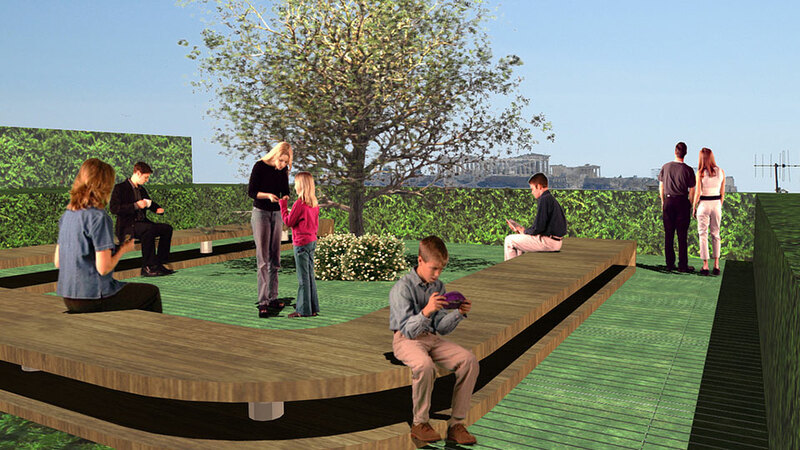 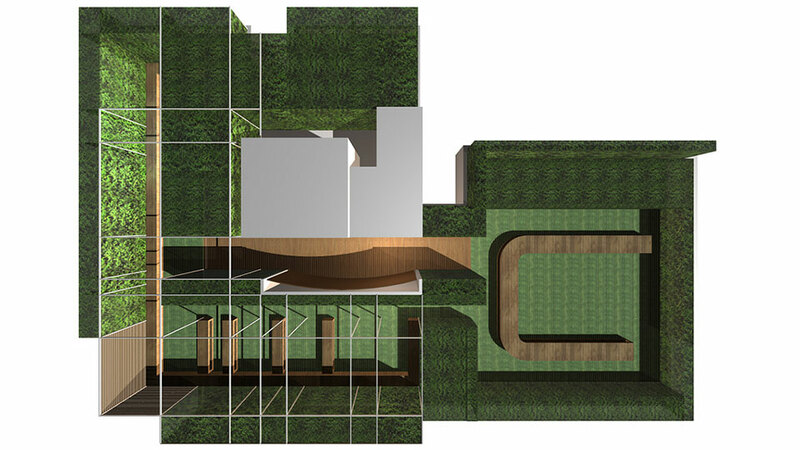 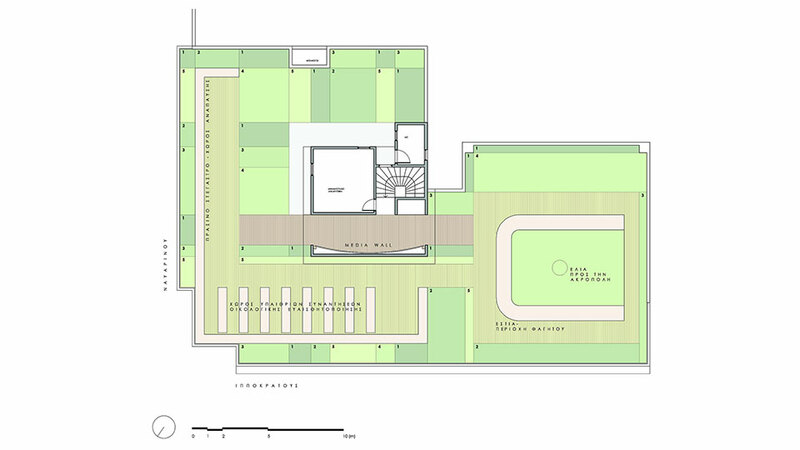 The central sitting area is a multi-functional space with the olive tree symbolically placed against Acropolis view.